PLEASE READ THESE TERMS CAREFULLY BEFORE USING OUR WEBSHOP. BY USING OUR WEBSHOP, YOU EXPRESSLY AGREE TO BE BOUND BY THIS DOCUMENT. 1.1 The webshop terms and conditions set out in this document (this “Agreement”) apply to the use of our webshop (shop.anton-paar.com) and all online purchase orders made in it. Before you can make an order on our webshop, you must open a webshop account by registering on our webshop. 1.2 By accessing our webshop and by registering and using your account, you (i) warrant that all the data entered is true, complete and correct; and (ii) confirm that you have carefully read and understood this Agreement and that you AGREE TO BE BOUND BY ITS TERMS AND CONDITIONS TO THE EXCLUSION OF ANY OTHER TERMS OR CONDITIONS. You agree that you will use our website and webshop for lawful purposes only and in accordance with this Agreement. 1.3 You can save or print this Agreement by accessing this link. However, please note that your saved or printed version applies only to online purchases you make at that time. We may at any time and in our sole discretion change this Agreement. You are therefore required to always check for the latest version of this Agreement applying to your new online purchase order before you make your new online purchase order. (To assist you with this, you can check and compare the document date of the document you have with the document then available.) You find the latest version at shop.anton-paar.com/terms. (c) your employees, officers, and/or agents accessing our webshop are duly authorized to do so and to legally bind you to this Agreement. 1.5 We may at any time and at our sole discretion refuse service, terminate account(s), or reject or cancel orders, if we have not accepted them yet. 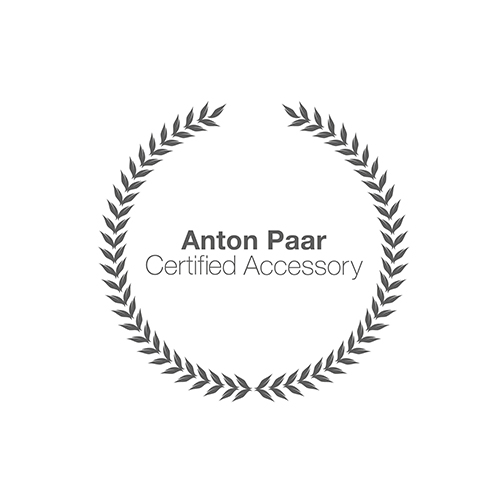 2.1 We are Anton Paar GmbH, VAT ID No. ATU39074808, a private limited company, with its registered office and place of business at Anton-Paar-Straße 20, 8054 Graz, Austria, registered at the regional court (Landesgericht für Zivilrechtssachen) Graz, Austria, under registration number FN 135 863 z. 2.3 The use of our published postal addresses, telephone or fax numbers and email addresses for marketing purposes is prohibited; offenders sending unwanted spam messages will be punished. 3.1 For information on the goods you intend to purchase, please refer to the particulars provided on our webshop. Other descriptions or statements (whether they are made in writing or verbally, and whether they are contained in brochures, catalogues, or elsewhere) are only binding if we expressly state so in writing. 3.2 We reserve the right not to be responsible for the topicality, correctness, completeness or quality of the information provided. Liability claims regarding damage caused by the use of any information provided, including any kind of information which is incomplete or incorrect, will therefore be rejected. All offers are non-binding and without obligation. We may remove or edit content from the webshop, extend, change or partly or completely delete parts of the pages or the complete publication including all offers and information without prior announcement. 4.1 Our webshop content and any other content you find on our website (including for example this Agreement, text, design, graphics, drawings, photos and software, technical specifications as well as samples, catalogues, prospectuses, pictures) is subject to copyright and other intellectual property rights held by us as owner or licensee. 4.2 Any duplication or use of any webshop or website content or parts thereof, whether or not expressly marked with a copyright notice, in other electronic or printed publications requires our prior written consent. 5.1 We (including our directors, employees, agents, representatives, successors and assigns) are not responsible for any contents linked or referred to from our pages unless we have full knowledge of illegal contents and would be able to prevent the visitors of our site from viewing those pages. The author and/or holder of the respective linked or referred page is solely responsible and liable for any damages whatsoever arising out of or related to access to or use of the linked or referred pages. This disclaimer is to be regarded as part of the internet publication which you were referred from. 6.1 By completing an online purchase order, you are making an offer to purchase the selected product at the price set out in our webshop and pursuant to this Agreement. When you place an online purchase order, you are bound by your order for a period of seven (7) days, unless we reject your order before then. You may not change or cancel an order you have already made. 6.2 You will initially receive an email confirming receipt of your online purchase order. This email is generated automatically and does not constitute acceptance of your order. If we accept your online purchase order, we will, within seven (7) days from our receipt of your order, send you an email confirming that we accept your order and/or providing information on the dispatch the ordered item. A purchase contract is only concluded if and when we accept your online purchase order. If we reject your order (which we may do at our sole discretion) you will not receive an order acceptance confirmation. 7.1 The prices for our products are the prices set out in our webshop valid at the time of your order and are quoted EXW Anton Paar (Incoterms 2010). Any value added taxes or other taxes or duties, insurance, freight and shipping costs for the delivery will be itemized on your respective order documents separately. Prices quoted on our webshop cannot be combined with offers or discounts. 7.2 Payment can be made in Euro and Swiss Francs only. Payment shall be deemed to have been effected on the date at which the amount in question is at our disposal. 7.5 You are not entitled to withhold or offset payment on the grounds of any warranty claims or other counterclaims. 8.1 All shipments within Europe will be made to you to the delivery address provided by you according to delivery term CIP (Incoterms 2010), meaning that we will take care of shipping, handling, packaging and insurance to the delivery address you provide, and does not include unloading or subsequent handling. 8.2 All shipments outside of Europe will be made to you to the delivery address provided by you according to delivery term DDP (Incoterms 2010), meaning that we will take care of shipping, handling, packaging, insurance and import duty registration to the delivery address you provide, and does not include unloading or subsequent handling. 8.3 We will arrange for dispatch of the items you have ordered according to the delivery times set out in the webshop. We may dispatch items you have ordered in one or more parcel(s). Depending on your destination, typical delivery times are between one to ten days from dispatch. All dates and times are a mere estimate. We will inform you about the dispatch and the estimated delivery date of the item(s) by email. Unless expressly agreed otherwise, this delivery time only applies to orders in quantities corresponding to the typical needs of an average household. 8.4 If you are not 100 % satisfied with the purchase of your ViscoQC 100 or ViscoQC 300 in the webshop, you can return the instrument within the first 30 days of usage and get a full refund excluding shipping, tax and handling charge. The 30 days period is calculated from the day, the delivery arrived at your premise. This Webshop Return Campaign is valid until further notice on the Anton Paar website shop.anton-paar.com. Any product you return must be in the same condition you received it and has to be sent back in the original packaging. 9.1 Warranty. For the period of twelve (12) months from the delivery, we warrant that the delivered products a) conform to the specifications provided by us; and b) are free from latent or patent defects in material or workmanship that impede the specified use of the products. No warranty obligations may be deduced from particulars appearing in catalogues, folders, promotional literature or any written, electronic or oral statements, unless expressly agreed in writing. 9.2 Remedy. If a product is found to be defective during the warranty period, we shall remedy such deficiency, at our option and our cost, by (i) the repair or replacement the defective item or defective part thereof or (ii) granting a fair and reasonable price reduction. The warranty period for the repaired or replaced product shall run for the remainder of the initial warranty period. Any incidental costs and/or expenses, including but not limited to shipping, travel costs and accommodation, shall be borne by you. Replaced parts shall become our property. (b) if a defect is not apparent from first inspection, you must notify us of the defect immediately upon your discovery of the defect and within the warranty period set out in sub-clause 9.1. 9.4 Warranty limitations. Our warranty obligation does not extend to any defects due to (i) fair wear and tear; (ii) abnormal working or operating conditions beyond those referred to in the product specifications, including atmospheric discharges, excess voltage and chemical influences; (iii) your (or any user’s) negligence, willful misconduct, or failure to follow our instructions as to use of the products; (iv) assembly, installation, modification, alteration, service or repair work not undertaken by us or one of our authorized representatives; and (v) compliance or non-compliance with licensing requirements. 9.5 Exclusive remedy. This warranty shall be in lieu of all statutory warranty provisions. All other warranties or conditions (whether express or implied) as to quality, condition, description, compliance with sample or fitness for a specific purpose (whether statutory or otherwise) other than those expressly set out in this Agreement are excluded to the fullest extent permitted by law. If we are for any other reason legally obliged to perform warranty obligations, these obligations, the limitations and conditions set out in this Agreement shall apply to the fullest extent permitted by law. 10.1 Outside the scope of the Product Liability Act, we shall be liable only if the damage in question is proved to be due to intentional acts or acts of gross negligence, within the limits of statutory provisions. We shall not be liable for damage due to acts of ordinary negligence. 10.2 The parties to this Agreement shall not be liable to each other for any indirect, special, consequential or punitive damages, nor for any loss of actual or anticipated profits, savings, business, down time or damage to goodwill. 10.3 Our liability for any and all claims, whether based on contract, tort, statute, indemnity or otherwise, arising out of or in connection with this Agreement are limited in their aggregate total to the value of the respective order. Any claims exceeding this limitation of liability are expressly excluded. 10.4 All claims must be brought before the competent courts within two years from the delivery, except in cases statutory law provides for a shorter period of limitation. 11.1 Unforeseeable circumstances or circumstances beyond either party’s control, including all cases of force majeure, may have a direct or indirect impact on delivery times. If this is the case, the delivery period shall be extended for the duration of such unforeseeable circumstances. These circumstances include for example, earthquakes, floods, fire, storm, natural disaster, armed conflicts, sanctions, embargoes and official interventions and prohibitions, delays in transport or customs clearance, damages in transit, energy shortage and raw material scarcity, labor disputes, default in performance by a major component supplier who is difficult to replace and any similar unforeseen event that renders performance commercially implausible. 12.1 Unless expressly agreed otherwise, you may only cancel a purchase order for the purchase of products, if the delivery of the products has been delayed due to our gross negligence and the reasonable grace period you set has expired. The cancellation shall be submitted by registered mail only. 12.2 Irrespective of our other rights, we may cancel, in whole or in part, an order for the purchase of products or without any liability to you, if a) for reasons attributable to you, the delivery of the products is rendered impossible or delayed despite setting a reasonable grace period; b) the delivery is or becomes unlawful (unlawfulness may include, for example any embargo, sanction or other international requirement related to foreign trade or customs); c) the delivery is delayed for more than six months due to reasons set out in clause 11. 12.3 If insolvency proceedings are instituted against any contracting party or an application for insolvency proceedings against that party is not granted for insufficiency of assets, the other party may withdraw from the contract without allowing a period of grace. 12.4 Other consequences of the cancellation are excluded. 13.1 You agree to comply with all national and international laws that may apply to the purchase contract, including, but not limited to, the Ordinance Regulating the Handling of Waste Electrical Equipment (Elektroaltgeräteverordnung) and the Waste Management Act (Abfallwirtschaftsgesetz) as well as all applicable national and international (re-) export control regulations. 13.2 By making an online purchase order, you confirm that you are authorized to purchase and use the item(s) in and have them delivered to your home country and that you have any and all national and international certificates, licenses, permits, and/ or approvals which may be required from authorities or any third parties for these purposes. 13.3 We assume that all purchased products remain in the country in which they are bought and therefore exclude the reimbursement of value added tax. 14.1 If you are a customer of Anton Paar’s webshop and a consumer within the meaning of Directive 2011/83/EU of the European Parliament and the Council of 25 October 2011 on consumer rights, the following special conditions for consumers (“Special Conditions”) apply to all of your purchases made in Anton Paar’s webshop. 14.2 Unless set out otherwise herein, the terms and conditions of Anton Paar’s webshop (“Webshop Terms”) fully apply to such purchases. In cases of any discrepancies between these Special Conditions and the Webshop Terms, these Special Conditions shall prevail. 15.1 You have the right to withdraw from this contract within 14 days without giving any reason. The withdrawal period will expire after 14 days from the day on which you acquire, or a third party other than the carrier and indicated by you acquires, physical possession of the goods (or if you ordered multiple goods in one order that are delivered separately, the day on which you acquire, or a third party other than the carrier and indicated by you acquires, physical possession of the last good). 15.2 To exercise the right of withdrawal, you must inform us (Anton Paar GmbH, Anton-Paar-Straße 20, 8054 Graz, shop@anton-paar.com, Tel: +43 (0) 316 257-0, Fax: +43 316 257 257) of your decision to withdraw from this contract by an unequivocal statement (e.g. a letter sent by post, fax or e-mail). 15.3 You may use the attached model withdrawal form (click here to download the form), but it is not obligatory. To meet the withdrawal deadline, it is sufficient for you to send your communication concerning your exercise of the right of withdrawal before the withdrawal period has expired. 15.4 If you withdraw from this contract, we shall reimburse to you all payments received from you, including the costs of delivery (with the exception of the supplementary costs resulting from your choice of a type of delivery other than the least expensive type of standard delivery offered by us), without undue delay and in any event not later than 14 days from the day on which we are informed about your decision to withdraw from this contract. We will carry out such reimbursement using the same means of payment as you used for the initial transaction, unless you have expressly agreed otherwise; in any event, you will not incur any fees as a result of such reimbursement. We may withhold reimbursement until we have received the goods back or you have supplied evidence of having sent back the goods, whichever is the earliest. 15.5 You shall send back the goods or hand them over to us without undue delay and in any event not later than 14 days from the day on which you communicate your withdrawal from this contract to us. The deadline is met if you send back the goods before the period of 14 days has expired. You will have to bear the direct cost of returning the goods. 16.1 What is Alternative/Online Dispute Resolution? If you have a complaint about a good or service you have bought, instead of going to court, you can choose Alternative Dispute Resolution (ADR). The term ADR includes all the ways of resolving a complaint which do not involve going to court. Typically, consumers ask a neutral third party to act as an intermediary between them and the trader; this neutral third party is called an ADR entity. The ADR entity can then suggest or impose a solution, or simply bring the two together to discuss how to find a solution. This is also known as “mediation”, “conciliation”, “arbitration”, “ombudsman” or “complaints’ board”. Compared with going to court, ADR is usually quicker, simpler and costs less. Online Dispute Resolution (ODR) is an ADR procedure conducted entirely online. 16.2 The EU ODR platform The ODR platform is a web-based platform developed by the European Commission, accessible under https://ec.europa.eu/odr. Its objective is to help consumers and traders resolve their contractual disputes about online purchases of goods and services out-of-court at a low cost in a simple and fast way. How does the EU ODR platform work? 17.1 Your personal details will be treated by us in accordance with the Austrian Data Protection Act 2000 (Datenschutzgesetz 2000). For the transmission of your personal data, we use SSL (Secure Socket Layer) technology combined with a 2048-bit-key. This technology safely encrypts data transmitted. All payment methods offered by us are fully protected by this technology. The encrypted transmission of your data is indicated by a locked padlock or key icon on your browser’s frame. However, such measures might not be effective in preventing loss, wrongful use or alteration to the information in all cases. We urge you to act cautiously when using our webshop and any other web site. 17.3 You may request the information about your personal data stored and the source, recipient and purpose of the storage of such personal data. Further, you have the right to have such data corrected, clocked or deleted within and according to statutory provisions. Please enquire with us via mail or email at the contact data herein in such cases and also contact us, if you have any other questions or concerns or would like to suggest improvements. 18.1 For the purposes of this webshop and any purchase order made hereunder, we will communicate with you via electronic mail and other means of electronic communication. You acknowledge that electronic data exchange is imperfect and can but does not have to be encrypted. Although interception of such communications by a third party would constitute a violation of federal law, we can offer no assurance that such interception will not occur. 18.2 You consent to receive agreements, invoices, notices and other information from us electronically and agree that such communication provided to you electronically will be valid as if provided in writing and satisfies any legal requirement that such communications be written, unless mandatory laws specifically require a different form of communication. 19.1 Documents we issue will generally only be available in English. This includes, for example, this Agreement, order acceptance emails and invoices. 20.1 This Agreement, the use of this website and any order or purchase made through this webshop are governed by Austrian law, without its conflict of laws provisions. The United Nations Convention on Contracts for the International Sale of Goods does not apply. 20.2 A reference to a particular statute, statutory provision or subordinate legislation is a reference to it as it is in force in Austria from time to time taking into account any subordinate legislation for the time being in force made under it. 20.3 All disputes arising out of or in connection with the present Agreement, your visit to our website or webshop or any item purchased by you through our webshop, shall be subject to the exclusive jurisdiction of the competent courts of Graz, Austria. 21.1 This Agreement constitutes the entire agreement and understanding between you and us and supersede any previous agreement (if any) relating to purchases made on our webshop. By making an online purchase order you confirm that you do not rely on any pre-contractual representations or statements. 21.2 Should individual provisions (or parts thereof) of this Agreement be invalid, unenforceable, the other provisions shall remain in force. The invalid, unenforceable or illegal provision (or part thereof) shall be replaced by a valid, enforceable and legal provision with whatever modification is necessary to give effect to the commercial intention of the replaced provision (or part thereof). 21.3 A variation of this Agreement is only valid if expressly agreed between the parties. No failure or delay to enforce any provision of this Agreement shall constitute a waiver thereof or of any other provision, unless we expressly waive our right to enforce such provision in writing. 21.4 A person who is not party to this Agreement shall not obtain any rights under this Agreement. Liability limitation(s) contained in clause 10 and the time limit for the assertion of claims also applies for the benefit of our employees, officers, agents, subcontractors and suppliers. 21.5 You must not without our prior written consent assign, transfer or charge rights or any part of them under this Agreement or subcontract any or all of your obligations under this Agreement.